This analysis was done with the cognitiveSEO toolkit, a respected & iconic tool among many SEO professionals & the entire SEO industry as a whole. Get your Free 14 day Trial Now and Enjoy one of the best tools for Link Profile Auditing, Unnatural Link Detection, Social Visibility Analysis and Rank Tracking. +Extra Topping: You’ll get a Live Demo with Razvan Gavrilas the Founder & Architect of cognitiveSEO. Update: This is the complete case study of the Halifax Google Penalty. We updated it with EXTRA Juicy info and made a cool illustration also! A breaking news has just reached our eyes and we found it so interesting and exciting that we couldn’t leave our office in a Friday afternoon until we shared this boiling piece of information with you. And before you assume we probably didn’t have any plans for this evening, read the article and we’ll talk after. Halifax may be one of the best and prosperous cities in the world, but when it comes to the famous UK banking chain Halifax, we cannot say the same thing. At least not anymore. The only thing the city of Halifax and Halifax bank have now in common is that they are both hard to find; first one on the map and the other on Google. Looks like Google started 2014 with its engine at a maximum revolution, setting the bar high when it comes to penalties, regardless of the size or importance of the site. The Halifax bank is the UK’s largest provider of residential mortgages and saving accounts, founded about 150 years … before Google existed. Basically, by the time Google was working at its initial public offering, the Halifax bank established one of the first telephone and Internet based banks. And if you’re still not convinced that Halifax’s tradition and reputation has deep roots, you should know that they were founded before the invention of the cash register, electric bulb or Coca Cola. Thereby, they deserve a front-page case study. As famous and notorious as they are, their link building strategy might not be very “Google friendly”, as they are facing now high difficulties and big rumbles in the online world. From our analysis, it seems like they’ve been penalized and Google might add an turning point in their impressive history. The financial niche in UK has very interesting characteristics that might need a different article; not on our blog, don’t worry. Without overwhelming you with bank details, that will only give you headaches, allow me to give you a few tips about this niche. Financial competition in the UK isn’t much of a competition in the way that since 2008 until now just five big banks own 85% of market share. Why is this piece of information so important for us? Well, it should help us make a clear image about how significant this story is and how big the actors really are. In other words, Halifax is a very big player in the field that lost not only image points but also pounds. Thousand of pounds! Bellow we can see the Halifax visibility history over the past two years. Looking at the following chart we can easily see a dramatically downhill that started at the beginning of February and looks like it it keeps on dropping. Google’s “red card” reflected on Halifax’s online visibility and the bank dropped in ranking about 20%. As we look at the following chart we can easily see a dramatically downhill that started at the beginning of February and looks like it keeps on dropping. Only 20%, one might say; “that’s not such of a big penalty after all”. In fact, it is. If we analyze the keywords Halifax actually “lost”, you might have a better understanding of why you wouldn’t want to step in Halifax’s shoes right now. As I was saying before about the bank established on the old continent, Halifax is synonymous with loans, saving accounts, online banking. If we take a look at the chart below what do we see? The core of their business, their top keywords are in a serious downward trend. “Personal loans”, “saving accounts” or “home loans” are not even listed in the first 100 anymore. That’s quite a stab! The 20% don’t seem to look so negligible any more, don’t you think? Who is responsible for the drop? Well, this is an interesting issue to discuss. When a problem appears, we have a natural, almost uncontrollable desire to find the scapegoat. Who will it be this time? Halifax for not keeping an eye wide open at its online activity? The media agency responsible for Halifax’s online marketing strategies? Google itself for not making plain statements, clear regulations and changing the rules of the game as it goes? All involved parties reacted differently to this story but the media agency that “took care” of Halifax caught our attention. If about a year ago they proudly shared their strategy and results they had on Halifax on their blog, now that specific article is not to be found anywhere as it was deleted the day that Halifax probably got the Google penalty. Since we are technology addicts, we were able to easily find that article using Web Archive. In the article in question, unbeatable figures were highlighted: natural search visitors volume was with 244% higher than in the previous year, sales percentage increased and was in alignment with visitors increase and, maybe, most important asset, Google market data showed Halifax as most visible street bank for ISA (individual saving accounts) related search. Google penalized Halifax for keywords such as ISA and loans. I’ll let you draw the conclusions on who should share the blame; but no matter whom you’ll find responsible for all this, Halifax’s penalty is still on. This is exactly what we wanted to find out and what better way to investigate this story than using the cognitiveSEO tool. In the chart bellow it’s outlined the biggest Spike of new links in Halifax links’ history and, brace yourself, you will see over 460.000 links on about 190 referring domains only. Quite a baffling ratio between links and domains, don’t you think? To better understand what really happened, we took a fast peek on the last 90 days link acquisition chart and you don’t have to be a rocket scientist to notice that in mid of December something happened. While kids put the final touches on their Christmas wish list, Halifax received an earlier “present”, a huge big Spike of new links. However, if they receive “presents” earlier, they also begin the spring cleaning earlier. At the end of January, after all winter holidays have passed, we can see that the number of lost links begin to increase suddenly. Given the fact that before this time, the number of lost links had the same approximate pattern, we could say that they probably began cleaning the links, due to the Google Penalty. The tool helped us easily identify the unnatural links and understand the unnatural to ok link ratio for the entire link profile. As the following chart suggests, the site seems to have a highly unnatural link profile and it’s likely to be penalized by Google. From our in house case studies, sites that have over 20% unnatural links are at high risk to be flagged by the Google Algorithm for bad practices. If you are still skeptic about the shady practices used by Halifax you should check the following screenshots. 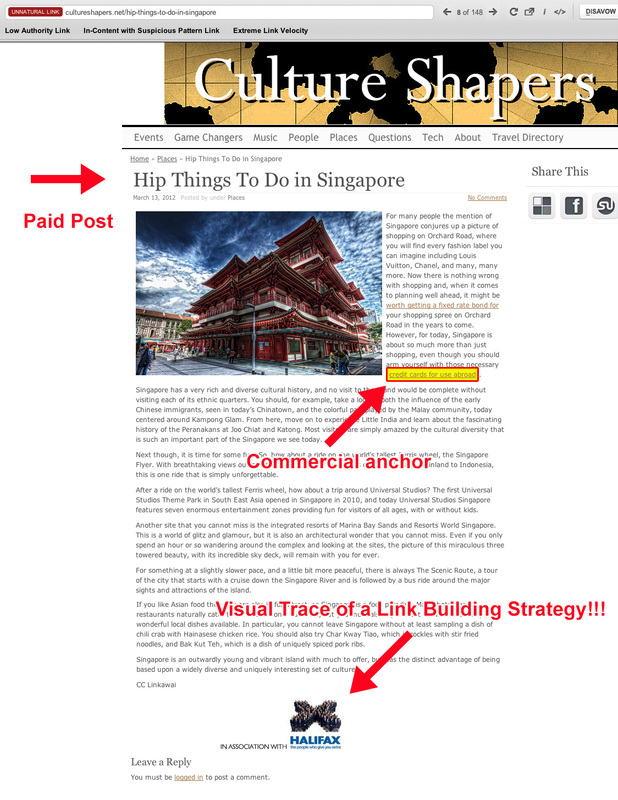 Let me outline the top 3 shady link building strategies Halifax used. 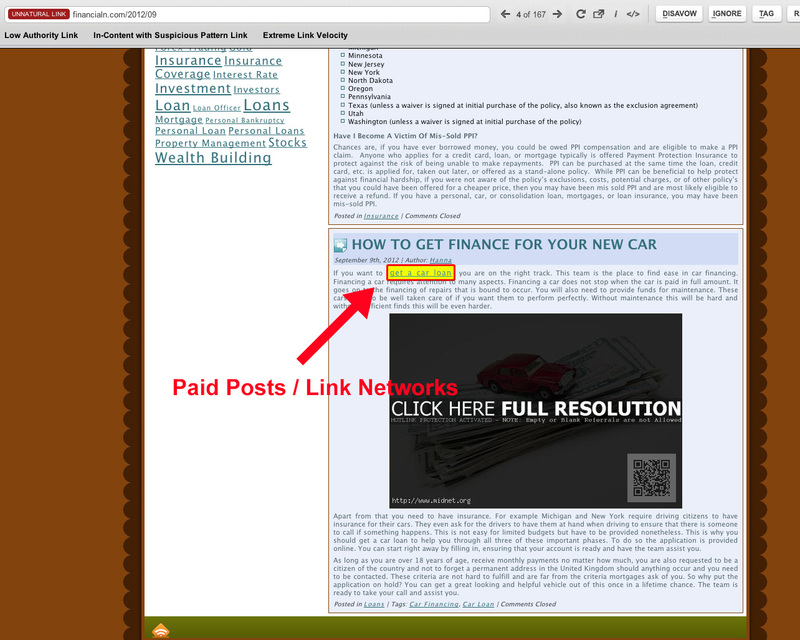 Shady Link Building Strategy 1 – Web Directory Links. Let’s take a look at this web directory. At a first glance, the site is looking quite good; it has high quality domain and link authority. If we look at the details we see a do follow commercial anchor text link. The problem is that this isn’t the single webdirectoy link. There are a bunch and they were built quite fast as we see in the Unnatural reasons spotted by the tool. Extreme Link Velocity – We might be living in the speed century but this looks very unnatural. Trying to initiate ourselves in the “magic” link building strategy Halifax bank’s site used, we took some other snapshots from different links that are identified as being unnatural. 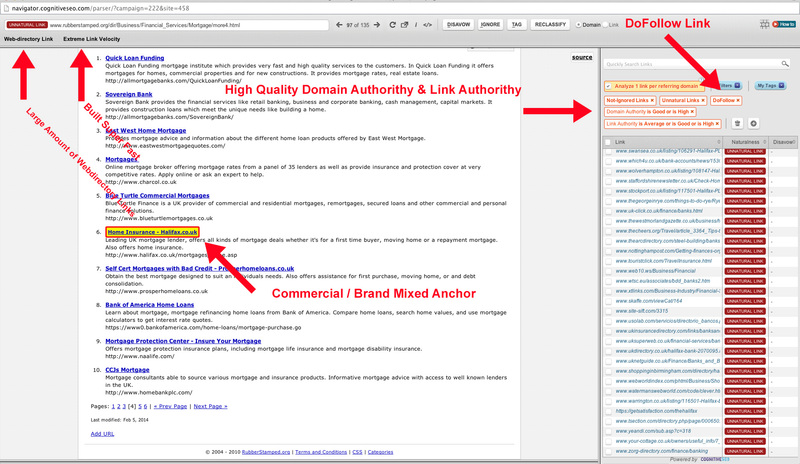 In the image below we can see a technique, which purpose is to make Google believe that the highlighted words represent a short paragraph of text used in the content of the site but what we are actually talking about is a hidden commercial anchor posted sideways on a low quality site. Not that magic anymore, is it? It’s like you are driving on the highway and all the advertising banners on the roadside are trying to invade the road, standing in your way. The following snapshot is a re-validation of the fact that a pattern was used in making commercial anchor text look like it’s an important part in the site’s content when it actually appears to be a suspect widget. And yes, I know, everything has to do with banks: cars, houses, hospitals and bars; but mentioning the great advantageous Halifax’s bank loans on a wide range of terms, such as hybrid cars, oil prices and general news? I think you all agree with me when I say that this looks quite shady. 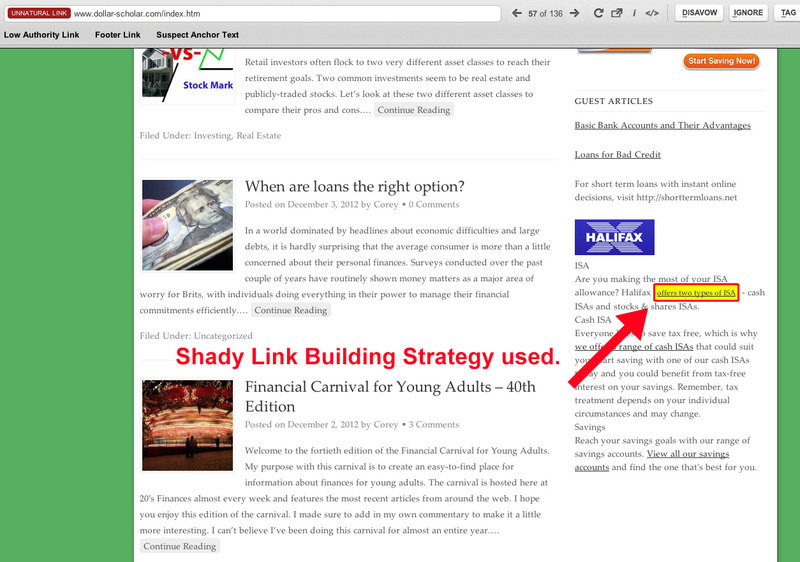 The Halifax link is an in-content & do-follow link enriched with commercial anchor text. That is a pretty shady thing usually. The same “advertorial” technique was also used by Interflora, when they got their site penalized by Google. Looking at the following link we can only imagine a link network of low quality sites. 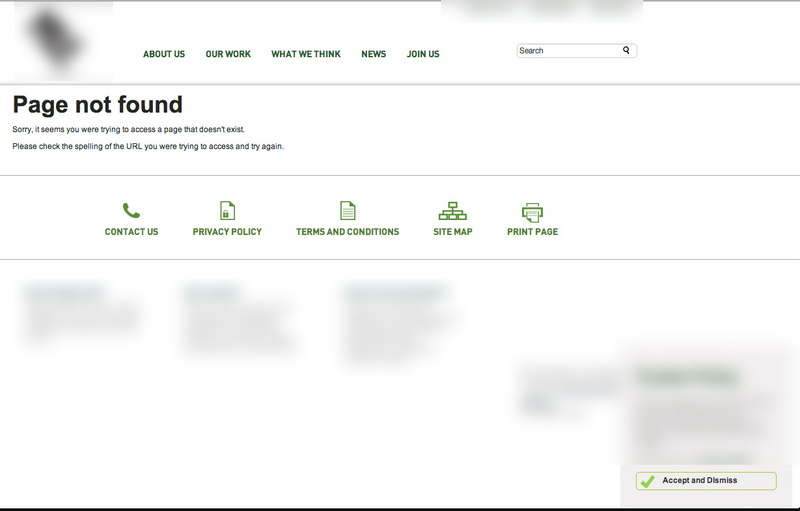 That is not something that a bank would naturally get a commercial anchor text link from. After all said and done, was it negative SEO? Did Halifax’s competitors pointed thousands of negative backlinks with the clear intention to influence organic search rankings in their favor? Doesn’t seem the case this time, as all the strategies listed above appear to be a part of an assumed tactic. 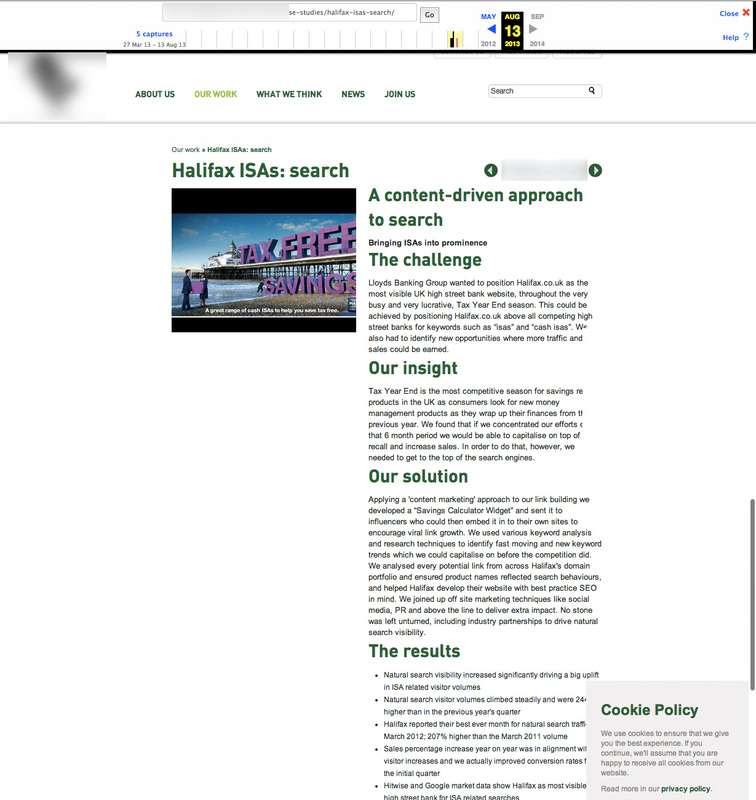 Also, the SEO agency in charge for their online marketing campaign talked pretty clear and artless in the erased article published on their blog about the strategy they used in order to increase Halifax’s visibility online. In these troubled waters, it’s important to know how Halifax sails. First of all, as we outlined in one of the charts above, it looks like the “cleaning” process has already begun. 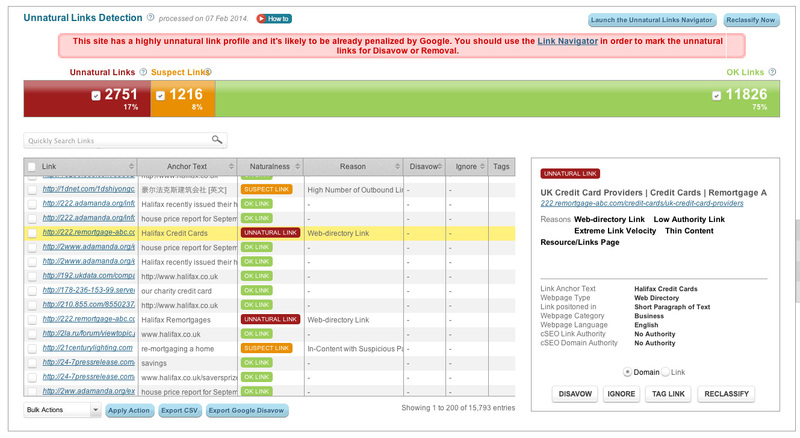 As the number of lost links increases, the more natural and reliable their profile will begin to look. Their very quick response to this matter is worth appreciating and I am not sure if you feel the same about this but I guess their chief accountant does. We know there is not much milk & honey at Halifax currently, but we can’t make a full analysis without taking into account the good things Halifax has. For instance, let’s take a look at their “natural” appearance. There is, indeed a high percentage of unnatural links but the natural ones come as a counterbalance. Also, let’s not forget who are we talking about: a well-known bank that came out with their head up from several crashes and severe economic crisis during the years. We are not saying that this isn’t a nasty blow but we do think that Halifax has the necessary expertise to get through this unpleasant episode and get a fast recovery. Having sites like Expedia and Halifax penalized by Google sends a strong signal that not even the big “guys” have a chance in the face of Google. They might get faster recoveries than smaller sites but still they can get penalized the same way a normal site is. As we have seen, the SEO team, that is/was working at Halifax, already started to remove the bad links that are the cause of this drop. I am sure that the site will be back on tracks soon but this will require a better SEO strategy from their digital marketing team. PS: My special thanks go to Martin Macdonald for spotting this drop. Is it fair to assume Halifax carried out this work themselves, as stated above? It might seem likely, but no matter how you cut it, without evidence it’s an assumption. While they may have earned a penalty, it’s really just a slap on the wrist. Big brands typically recover in just a week or two, after Google gets to parade out a ‘see, we do hit the big guys’ notice. Check out Aaron Wall’s post last month about the recent Rap Genius hit (http://www.seobook.com/spam-big-or-die) or look back to the 2011 JCPenny penalty. The big brands are always safe. It’s the small business owner that takes the permanent hit. it usually is like this. I agree. let’s see what happens here. Unnatural links discovering plus the Webpage Type feature can help any webmaster to save his website in not getting a penalty. Ha just did a search three days later. I’m in a similar industry seo wise and I am fairly familiar with halifax’s rankings in general. They seem to be top of their game pretty much post penalty. Search “mortgage application” and they appear second above far far bigger banks. If I did this even slightly I would get slammed for years. They still have 80% of the visibility remaining so they did not loose it all. I’m a bit puzzled by this. It’s a great headline and interesting topic but I did a search for ‘mortgage’ and there are Halifax sitting in the top 10. Not much of a penalty? Adrian, their mortgage keywords is the only product category not to be affected. If you delve deeper, you’ll find that the widgets they were using targeted every other section but their mortgage section. I assume this because they already ranked fairly decently for mortgage related terms. A lot of people look at this penalty as it should be the kind of “all or nothing”. The thing is when you get 100 visitors and losing 20 does not mean a lot but when you have 1 mil and you lose 200k that feels different. Going through this recently with a client has been difficult and educational. It always seemed like a shady practice and I have never purchased spammy links. Don’t even think about it. Build your seo with quality articles – you will attract quality backlinks and readers. When Google makes changes, you don’t lose hard work, potential customers and more. Hi, thx for this Great Analysis ! 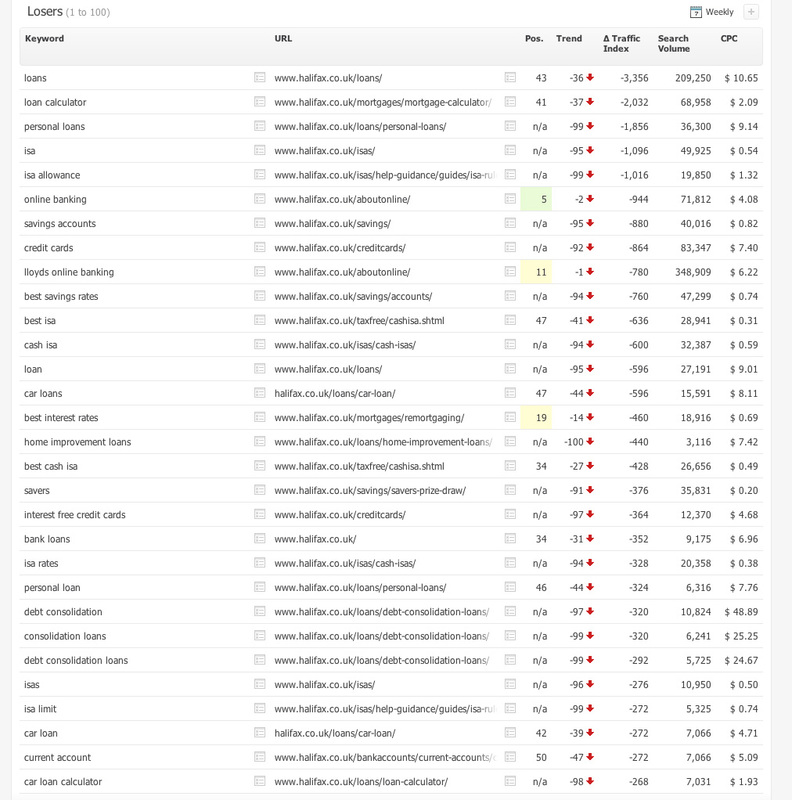 Searchmetrics was used for the rank and cognitiveSEO for the entire analysis. I think Halifax penalty is ironic. They might recover soon with they long history and huge money. I am waiting for full story on this. I am waiting to see what happens too :). I also suspect a quick recovery. Have they actually been penalised, or was some of the SEO work just devalued? Is there such a differentiation with Penguin? Does Google apply actual penalties to bad links, or is it just that the bad links no longer count for SEO? until now Google applies penalties. There was a lot of discussion in the SEO industry about Google just devaluing unnatural links and not actually penalizing a site. Until now it seems that they are applying penalties and not only devaluing. Maybe in the future. Great article Razvan! As always, it’s an eye opener. 🙂 That’s why we don’t use auto-submitters to directories. It’s always a sure way to get penalised. How would smaller sites that are penalised get their ranking back? Or should we start a new site instead? Any idea? Coz bigger sites get penalised for a short while, and then get restored. Always create your own content! Buying backlinks is a shady business. Great article! I think big “guys” might get faster recoveries than smaller sites because they spend a lot of money for Google AdWords. It’s totally hard to match what google wants and the reality. I always get blunder with the idea that states “content is a king”. I always write every post in my blog with the structure nearly the same as wikipedia. Let’s say, 90% great content. And when I see the first top SERP, it always filled with those site which has very very poor contents. Mr Razvan, do you have any idea about this? What about the latest google algorithm in the 2017’s, if google will be more strict with certain types of backlinks types. What do you think ? Wow! no matter who you are (big web or small blog) there is still possible to get penalized. But, i think “The Big” can recover easily by paying with Google Adwords. It seems they use sitewide links strategy for link buildings. I’ve same case also, and it considered as toxic comes with greatly bad effects on SERP. Leave a Reply to Cherie Young!